Imam Johari Abdul-Malik of Dar al-Hijrah mosque gives the opening prayer before the Virginia House of Delegates this afternoon. The effort is part of House of Delegates' desire to reach out to religious leaders of other faiths. 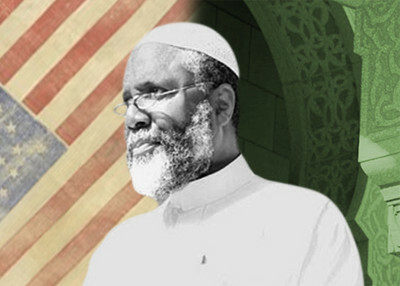 However, selecting Johari Abdul-Malik, the mosque's outreach director, or any religious leader from Dar al-Hijrah, is questionable due to their support for radical and political Islamic issues.